Artisan Ploy from Thailand handcrafted .925 sterling silver in fine detail in this exotic design. 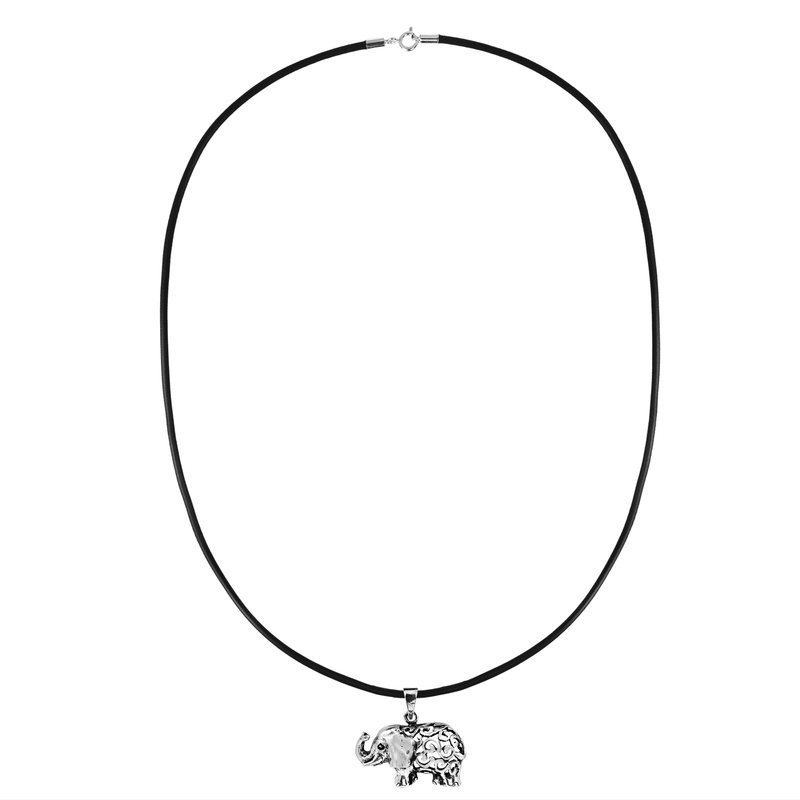 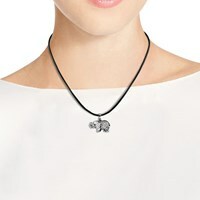 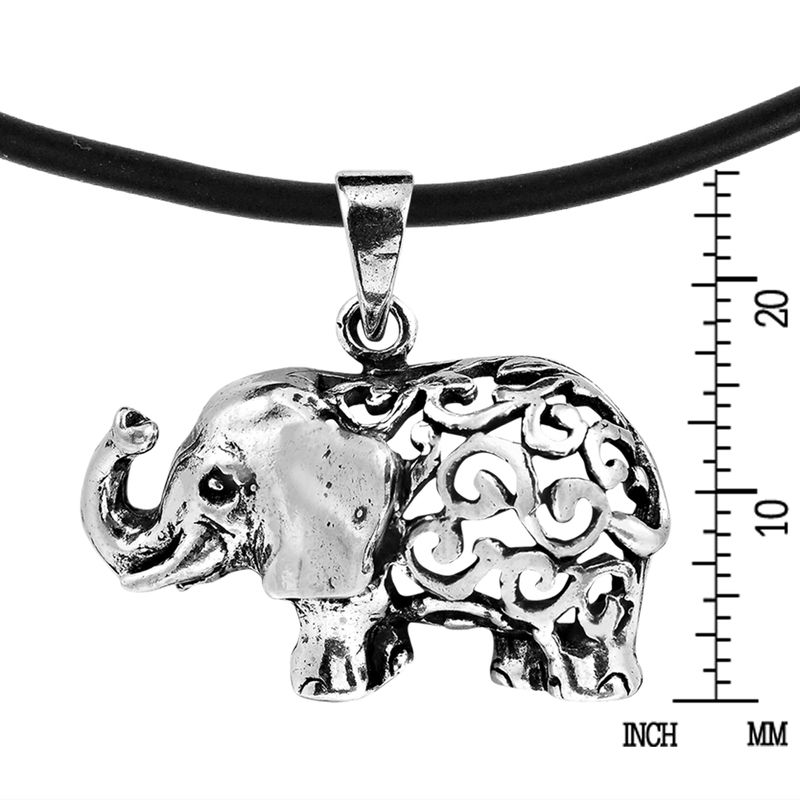 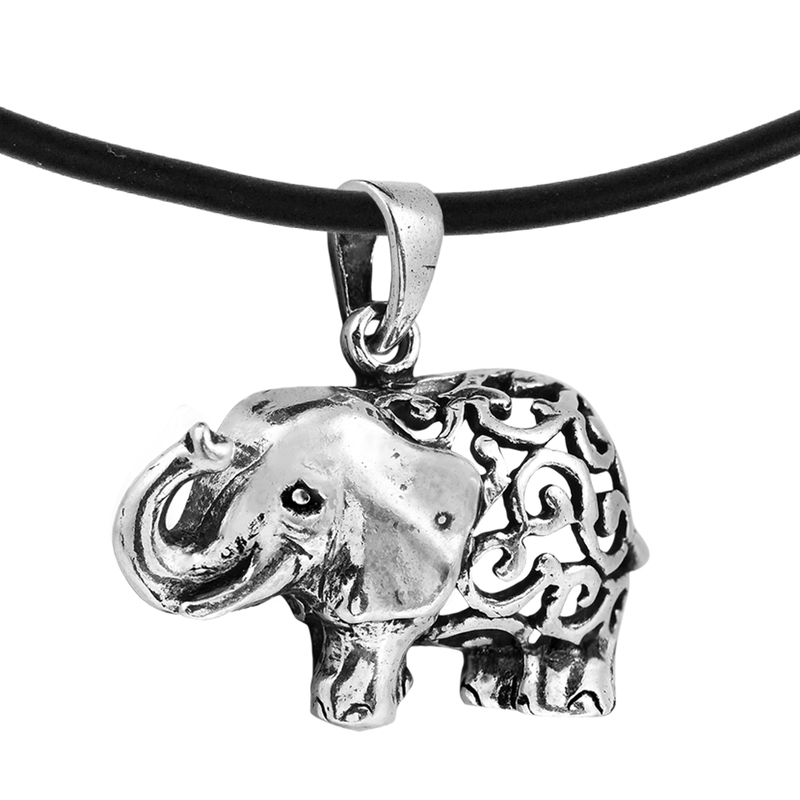 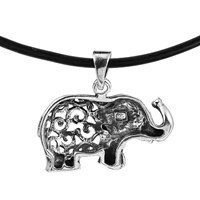 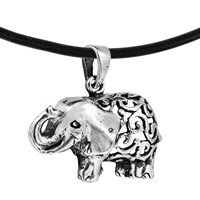 The design features an 18-inches long rubber necklace and an elephant pendant. 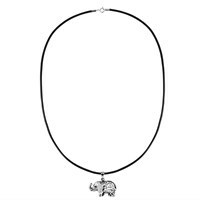 The body of the elephant is embellished with vintage swirl flower motif adding texture to piece. 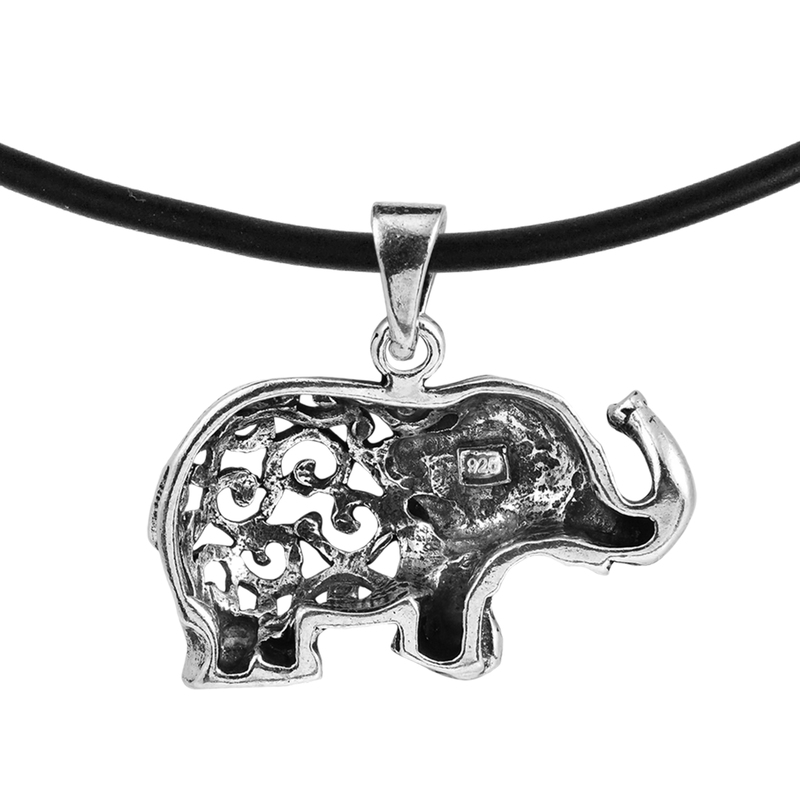 Elephants are known to be a symbol of good fortune, strength and royalty in Southeast Asia.